Alzheimer’s disease is the most common form of dementia, a general term for memory loss and impairment of other cognitive abilities serious enough to interfere with daily life. Alzheimer’s disease accounts for over 50% of all dementia cases. Other dementia types include vascular dementia, dementia with Lewy bodies, and frontotemporal dementia. Mixed dementia, such as Alzheimer’s with vascular dementia, is also a common subtype. Worried about the memory health of a loved one? Try the Alzheimer’s-Dementia Memory Loss Checklist to determine the probability of serious memory problems. Some (but not all) people diagnosed with MCI later decline into Alzheimer’s. Current research puts the probability of a person with MCI converting to Alzheimer’s at around 10% to 15% per year. Amnestic MCI, a subtype characterized by subtle but noticeable memory loss, is the most common type of MCI that can lead to Alzheimer’s. Since MCI is a transitional stage condition that may (or may not) continue on to Alzheimer’s or another form of dementia, there isn’t one simple test that can be used to diagnose MCI. 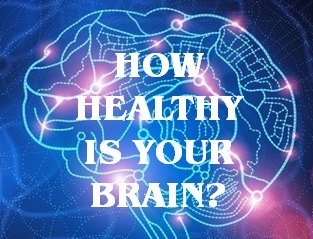 However, one of the best methods to detect a change in cognitive functioning is through routine, annual brain health screenings. Readers can try this free short term memory test.